The week is finally at an end. Man, it took a long time getting here, too. This weekend will be an incredibly busy one, but so much fun! Tomorrow is finally the Mad Hatter Tea Party Bridal Shower. Sunday is the Medieval Fair in Norman, OK, where I’ll get to reconnect with some great friends. Then the work week begins super early…super early… So, I’ve got a question for you….This song…what do you think? Are you tired of it yet? Ready for something new? Let me know in the poll below. This weekend it is all about taste testing some cupcakes for a Bridal Shower/Bachelorette party I’m throwing (Mad Hatter Tea Party anyone?). Have I mentioned I like theme parties? (There is a Sherlock Party post coming soon. Promise) So far, I love, love, love this Mad Hatter Tea Party theme. There are so many possibilities!! I’m finally going to watch Catching Fire and possibly Divergent. Apparently, it is also YA movie adaptation weekend. Here’s to hoping they do a better job than they did with Mortal Instruments: City of Bones. As I’m looking at this, and the list of normal stuff that has to get done (grocery shopping, laundry, etc. ), I think I may have figured out why I’m tired…ah, oh well, who needs sleep? So what’s going on with you this weekend? P.S. Have you ever accidentally ordered a foreign film from Netflix? I have…twice now. That’s right, it is time for the Pharrell Williams “Happy” video again. I just can’t get enough of listening to this song! Every time I hear it, I want to smile and dance…it makes me happy. Also, it is Friday! We may have a cool rainy weekend ahead of us here, but it is still the weekend. Ah, yes. 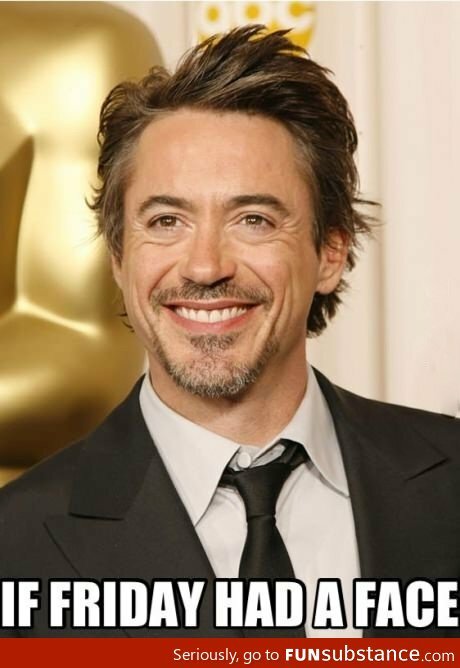 It is Friday again, and I am happy! This weekend, I have a Sherlock Party for a dear friend’s birthday (or rather I’m using her birthday as an excuse to have a Sherlock party). I promise there will be pictures and everything. Now, it’s time to bust out the Friday song. (No, I don’t mean the movie Friday.) So, kicking off your weekend and mine in the right kind of way….a little music. What are you doing this weekend? P.S. This was supposed to go out at like 4:30 CST…and that’s a pretty perfect example of my week. Thankfully, it is well and truly over now! So, it’s Friday. How’s that going for you? Need a little distraction? I’m great at distractions. 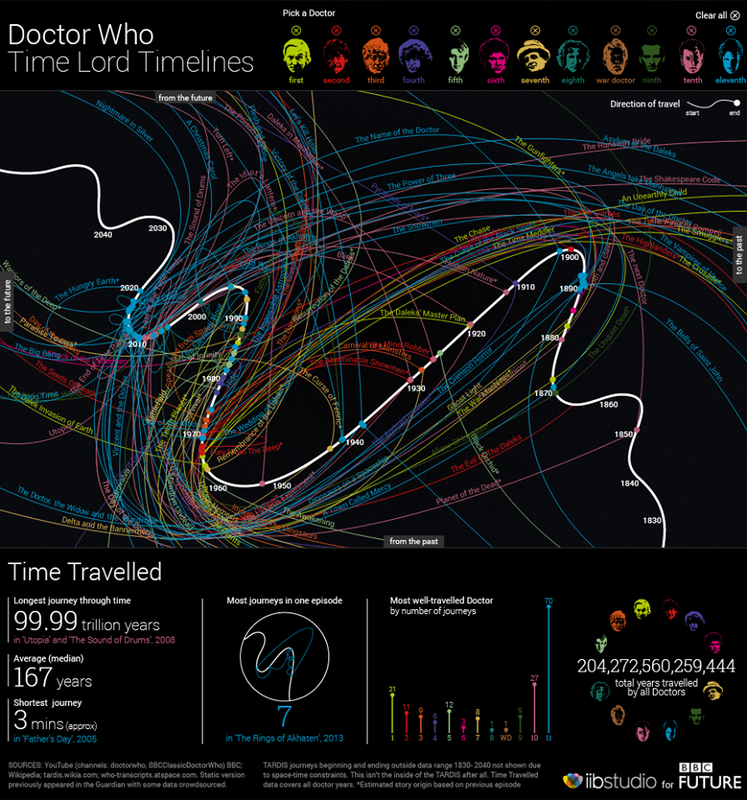 Check out these interactive Time Lord Timelines. They came across my feed from the BBC. Now, My Friday is actually kind of busy, so I haven’t actually gotten to play around with this yet. What I’m trying to say here is, if you’ve got some time to check out what looks like a very cool site, please do! Let me know if it is cool. It seems pretty cool.